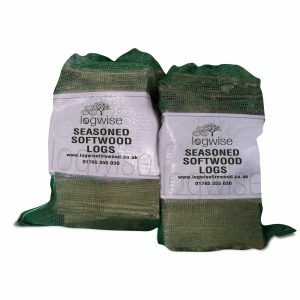 Now available in a standard 0.8m3 bulk bag, our cheapest logs! Dried by the sun and wind in our log yard on the foothills of Nidderdale. Because softwood grows quickly, plantations reach maturity sooner than other wood types, meaning this is the most sustainable and cheapest wood we sell. This wood will burn more quickly and easily than other types of wood. Our wood is sourced locally from well-managed sustainable woodland in Yorkshire, with the majority of our softwood being grown less than 3 miles from our log yard. We use locally sourced and recycled or recyclable packaging. We build our crates by hand on our premises, from reused pallets and locally sourced softwood. No fuel is used in the drying process for these logs: only the sun and the wind! Sustainability is a core value of our business; as a result we have independently planted over 500,00 trees. We also donate the Woodland Trust’s ongoing woodland management projects. 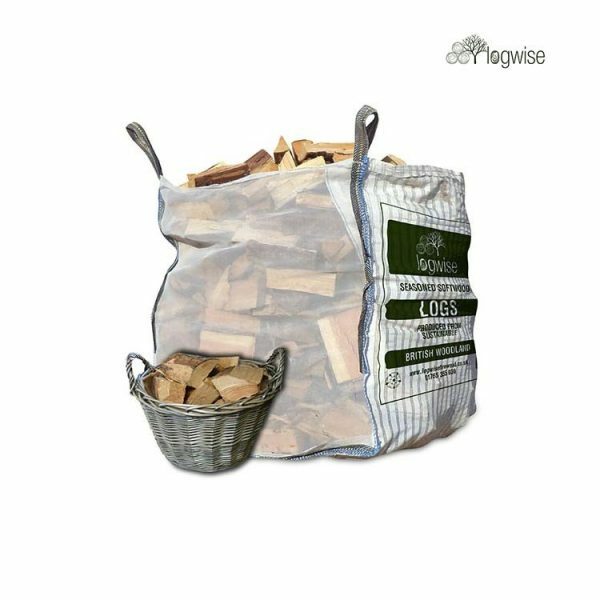 We use mosquito net bags with vented sides, the most efficient way to store such logs while keeping them clean.